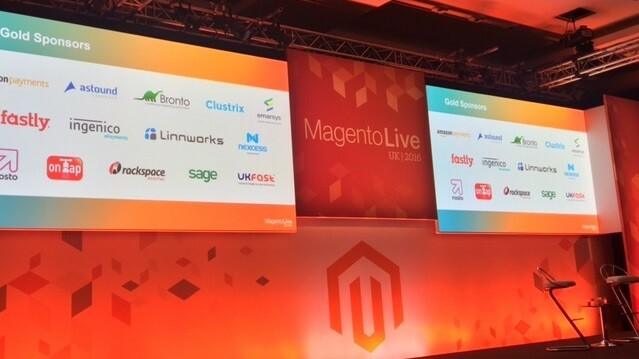 Last week we sent two of our Magento Developers, Daniel and Simon, to attend MagentoLive UK 2016 to make sure that we are up-to-date with all things Magento. To broaden their already broadened minds you could say. The event took place at the Park Plaza Westminster Bridge in London, and here are the subjects that caught our attention. Firstly, there’s a clear consentment in the community that clients should start the process of migration to Magento 2. As explained by David Deppner, Vice President of IT and Ecommerce of ClearBags, Magento is giving support for Magento 1 until 2018 and the upgrade to Magento 2 could take months, with too many unknowns. David stated that “The longer you support Magento 1, the more you will pay in development costs, as not all work can be migrated to Magento 2”. The sooner you migrate to Magento 2, the better. There were also discussions about the launch of the new Magento Marketplace. Focused on quality and value driven prioritisation, customers will now have a better experience to discovery, purchase and use high-quality Magento Extensions. Thy will now be reviewed in terms of business, technical, as well as marketing values. Unique functionality, plagiarism, coding standards and security are among the items to be considered. Another interesting topic was that Magento is investing in the Cloud. The Magento Enterprise Cloud Edition will be based on AWS (Amazon Web Services), the current leader in Public Cloud Infrastructure, where Magento says 23% of Enterprise Edition are already hosted. According to a Gartner forecast analysis, in the first quarter of 2016, 88% of organisations use the Cloud as a main strategy to reduce costs, help drive business growth, and make organisations more agile and innovative. Fastly CDN and DDoS protection. PaaS (Platform-as-a-service), allowing customer to develop run and manage applications without dealing with the infrastructure, with unlimited users and 8 non-production environments included. Finally, we’d like to say a BIG thank you to Magento and everyone involved in organising this year’s event – it was a pleasure, as always.